Nematjon Siddikov was persecuted several times for his human rights advocacy. 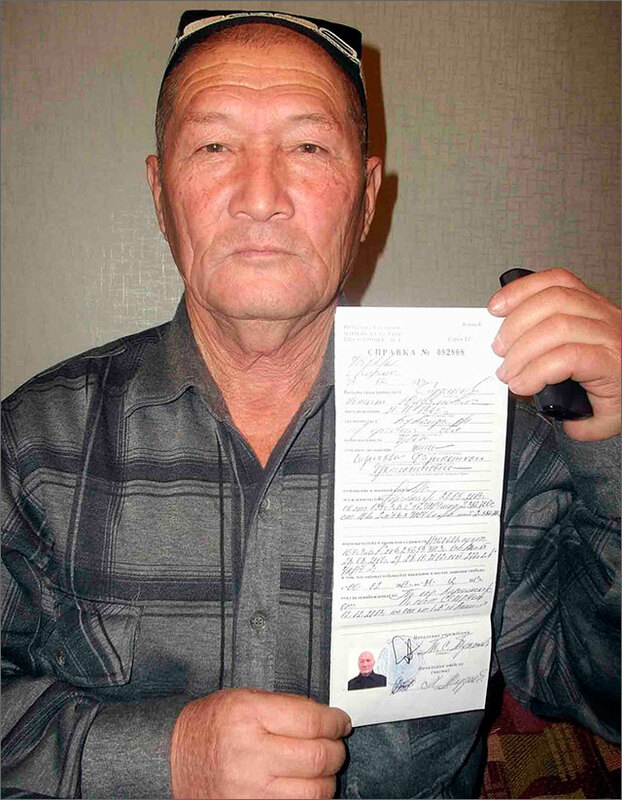 For his activism in the Human Rights Alliance of Uzbekistan (HRAU), the Fergana Region resident was threatened with death and arson at his house; his family members were assaulted by hired hooligans several times; unknown people threw stones at his house. A year ago, on February 5, 2013, about a hundred people arrived at the Siddikovs family house in several vehicles and threw stones at his house, beat his family members, and later trumped up charges against the head of family and his three sons. Several days prior to this attack, Mr. Siddikov and his sons informed the local authorities about a criminal group engaged in contraband across the Uzbek-Kyrgyz border. The next day, on February 6, Mr. Siddikov and his three sons were arrested and charged with slander (Article 139 of the Uzbek Crime Code) and premeditated infliction of grievous bodily injuries (Article 104). In May 2013, the head of family and one son were convicted to six years of imprisonment; the other two sons were sentenced to three years conditionally. Mr. Siddikov was amnestied and released on 31 Dec 2013. On 12 Jan 2014, he met with Yelena Urlayeva, the leader of the HRAU, to tell her about conditions of detainees and inmates, hoping that his story would somehow ease their lives. Ms. Urlayeva request Mr. Siddikov to describe the initial days after his arrest. “Initially, my sons and I were kept at a directorate of local internal affairs. The cell was one meter wide and meter-and-half in length; one could only sit on the cement floor. We had to sleep sitting and our bodies would numb due to uncomfortable posture. We were given no food or water for about 24 hours. “During the investigation, we were detained for seven days in a detention facility in Kokand, where cells were somewhat wider – about 2.5 meters by three meters. But the number of detainees would sometimes reach 10 people. There were two matrasses with almost no filling on the wooden floor of the cell. Food was given only once in 24 hours. While there, the detainees could hear screaming and moaning people, who were tortured during interrogations. - Were you subjected to torture? - Where else have you been and what were the conditions there? 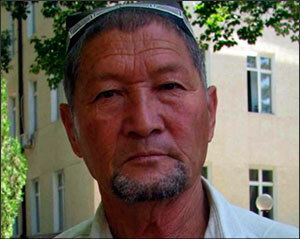 “My three sons and I were transferred to the prison in Fergana City. Several detainees are kept in cells there; people sleep on shabby beddings and consume food good only for animals. “I have seen tortured people here. They would be brought to cells, since they were unconscious and could not walk; they were badly beaten and their bodies were covered with bruises. “During checkups, the detainees are forced to squat for several hours. Those who cannot endure the position are subjected to severe beating. I have seen broken batons used for beating people. “I have written complaint letters, addressed to the president of Uzbekistan, in which I described the arbitrariness on part of the National Security Service and the Internal Affairs Ministry; but my letters never not allowed to leave the prison walls. So I declared a hunger strike. “I was then transferred to the cell No. 252 of the prison in Tashkent City. The first “order of business” there is severely beating the newcomers with fists and feet. - Tell me about the prison you served your term in. “I served my term in the penalty enforcement colony No. 61 in the Sheikh-Ali Village near Karshi [in central Uzbekistan]. “When convicts arrive at this colony, they are subjected to a so-called ‘cracking’: they are beaten, forcibly immerse their heads and hands into used and unwashed toilets. They also force them cultivate land with harrows, which is a very heavy labor. “Once in the colony, inmates are “quarantined” during the first three months. It means that the newcomers learn military marching, singing the Uzbek hymn and other songs, saluting officers, walking squatted, and other abnormal movement methods. “Everything in prison colonies is aimed at destroying humans: horrible detention conditions and humiliation for any trumped up violation of internal rules. “While in colony, I wrote letters to the deputy chief of that facility, Farkhad Adylov, demanding the inmates’ conditions be improved. In response, I only heard threats that my sons would also be imprisoned, and that I would be declared an enemy of state. That is why I want to speak out now and to draw attention to the unbearable conditions detainees and inmates face; I want to draw attention to the systematic tortures and humiliations of inmates, and to the impunity of officials.